The International College for Postgraduate Buddhist Studies (ICPBS) was founded in 1996. 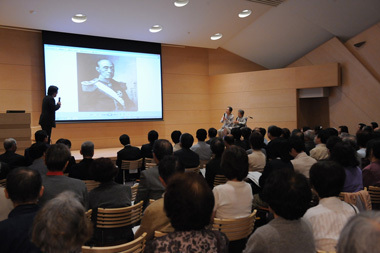 Originally Reiyukai owned a library with a rich collection of Buddhist materials that served as the basis of the International Institute for Buddhist Studies which was inaugurated in 1982 and actively prompted academic exchanges with a large number of world famous institutions and scholars. The College was established with the aim of further developing the research activities and the training of new generations of Buddhist scholars. The ICPBS is a postgraduate college consisting of only one department which specializes in Buddhist studies. In size, it is one of the smallest academic institutions of its kind in the world, but it strives to achieve high goals in their mission of education and research.